260ml organic, vegan friendly Granovita Hemp Oil. The Granovita Organic Hemp Oil 260ML product ethics are indicated below. To learn more about these product ethics and to see related products, follow the links below. This is a fantastic tasting smooth oil. Thought we would try it and now it is a regular cupboard item. 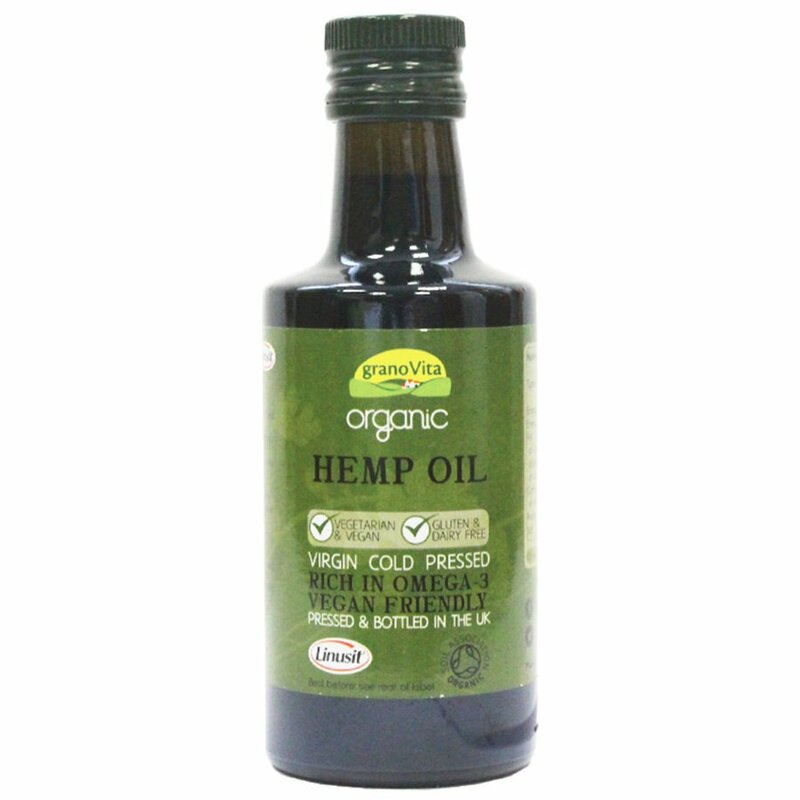 Nice dark hemp seed oil, fragrant and rich in Omega 3 and 6, good to be used on salads but also to hydrate dry skin. lovely oil use it on salad and skin! Q: Is the hemp oil suitable for a person allergic to nuts? A: Hi, yes this hemp oil from Granovita is suitable for those who have a nut allergy. Robyn. Q: is this hemp oil made from the seeds? What else does it contain? A: Hi, thanks for your enquiry. This hemp oil is entirely made from organically grown hemp seeds. Robyn.